The Archbishop’s piano spoken of in this letter is housed today in the Carolinum Augusteum Museum in Salzburg and is signed “Christian Baumann”. 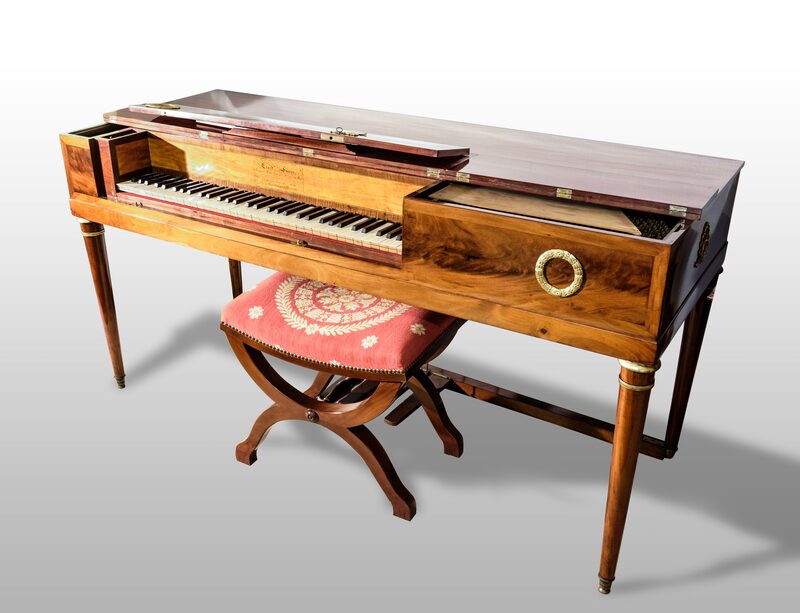 The instrument which Bernard Brauchli plays is identical and is a rare example of the first steps in the evolution from the clavichord to the hammered piano. Mozart owned, performed and composed on clavichords while simultaneously taking part in the advent and rise of the hammered piano. Hearing Mozart’s music performed on either of these instruments gives yet another perspective of his genius and allows us to come just a step closer to his time.